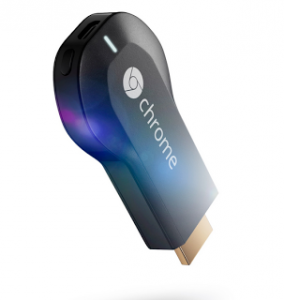 Chromecast, Google’s HDMI dongle that has been on the market for 18 months, is still riding high. According to analyst group NPD, Chromecast was the top selling streaming device throughout the US in the year of 2014, with users casting more than 1 billion times since its launch. Google’s Chief Business Officer Omid Kordestani said that Chromecast usage per device has increased by 60 per cent since launch due to a “growing roster of new apps and features”. “Watch time is up 50 per cent year-over-year. We continue to invest in our YouTube Partners and Partner revenue has increased by more than 50 per cent year-over-year,” said Kordestani. “Our digital content businesses are strong. I’m excited about Google Play’s development. Movies are now available in more than the 102 countries, music in 58, and books in 65. It’s growing internationally at unprecedented speed,” said Kordestani. He added that Google Play and YouTube “drove the majority” of the $15 million sales that controversial Sony Pictures Entertainment movie The Interview generated in its opening weekend, after the studio opted for an online-only release after falling victim to hackers. Overall, Google reported consolidated revenues of $18.10 billion for the quarter ended December 31st 2014.